The fact electronic sports, or esports, have a real shot of making it into the 2020 Tokyo Olympics is a good indicator of the rising popularity and prestige of the competitive video gaming community. 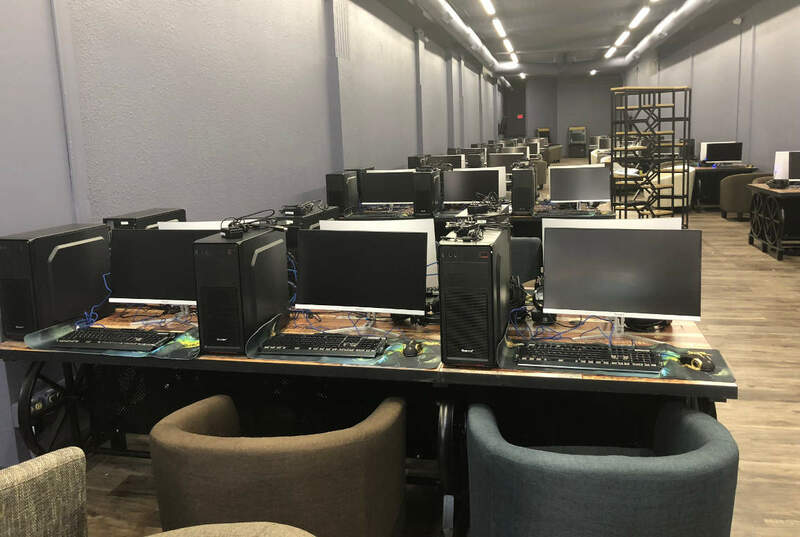 That community will soon have a home in Iowa City as the area gets its first esports cafe, a type of business ubiquitous in other parts of the world, but growing slowly stateside. Esport Iowa City will open later this month at 123 E Washington St (the location previously occupied by The Den). There will a soft opening next week, during which people can try the gaming equipment for free. The cafe is the first business venture of owner Blake Nie, who graduated from the University of Iowa in 2017. Originally from China, Nie is more than familiar with the gaming market, and is eager to bring a cafe to his new home. Nie said his business will be equipped with 50 or more high-end computers with GeForce GTX 1060 graphic cards and 144hz curved monitors — equipment many gamers cannot afford to purchase themselves. He will also have two PlayStation 4 consoles with 25-plus games, as well as two arcade game machines with more than 800 “classic games.” High-speed internet service will fuel the heavy gameplay. Pricing is based on a “play more, save more” model: $6 for an hour in the cafe, $20 for four hours, $32 for eight hours and $50 for a full day. 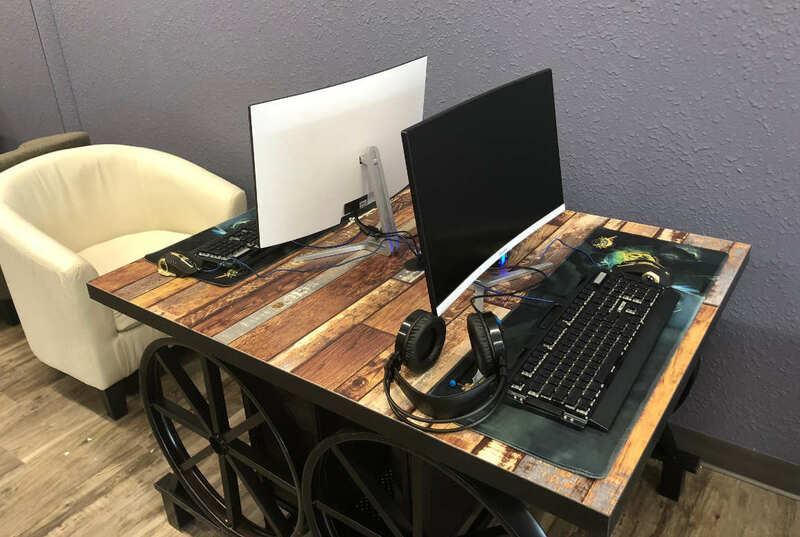 The cafe will be open from 1 p.m. to 3 a.m.
Esport Iowa City will not only give gamers an alternative to purchasing equipment, Nie said, but will also be a much more social experience than home gaming. Games such as League of Legends, Overwatch, Call of Duty, Counter-Strike: Global Offensive, NBA and FIFA games and Super Smash Bros. Melee are popular in both global egaming tournaments and among casual players, such as the UI’s esports club. Nie said he has been in contact with the club, which is always looking for equipment and space in which to gather. Esport Iowa City will also host tournaments. Expanding on the cafe concept, Nie plans to sell American and Chinese snacks and drinks, partnering with local bubble tea shops and restaurants. Guests may “simply click what they want on the computer,” Nie said, and their orders will be delivered to their table. The first local business owner to cater directly to the gaming market, Nie is taking a gamble with Esport Iowa City. But Nie said he is happy to be a pioneer.